Thank you for visiting our page! 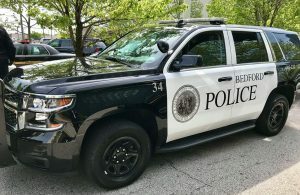 The men and women of the Bedford Police Department work hard every day to make sure Bedford is a place people feel welcome and safe. We have a staff of 34 sworn Police Officers which includes a Chief, Deputy Chief, 1 Lieutenant, 5 Sergeants, 3 Detectives, and 23 Patrolman. It doesn’t stop there. Our staff includes 20 Auxiliary Police Officers, 1 full time and two part time records technicians, 7 Corrections officers, 1 Juvenile Diversion Coordinator, 2 animal wardens, 2 custodians, and a car wash kid. We do not currently have a Partridge in a Pear Tree. That doesn’t mean we don’t need you. The citizens and visitors of our community are encouraged to take an active role by contacting us anytime they see something that needs our attention. If it’s an emergency call 911 immediately. If it’s just something you think we need to check on, or you have a question you can call 440-232-1234 any time. We are dispatched through Chagrin Valley Dispatch Center and they will get you help whenever you need it. If you have a question pertaining to records such as copies of a report you can contact our records room at 440-232-7600 Monday through Friday from 8:00 a.m. through 4:00 p.m. Please don’t hesitate to reach out to us. We do maintain a Facebook and Twitter page which are great sources of information, but it’s not the best way to contact us since they are not monitored 24/7 like our dispatch lines are.